The 35^ edition of the international Half Marathon Firenze Vivicittà will take place on Sunday 15th April 2018. Runners from all over the word, enthusiasts and families with children come to participate in this classic sport event in the streets of Florence. The route will lead you past the main monuments that have made Florence famous all over the world: from Lungarno della Zecca to Piazza della Signoria, from Piazza Duomo to Oltrarno. The race course is completely asphalted and flat. 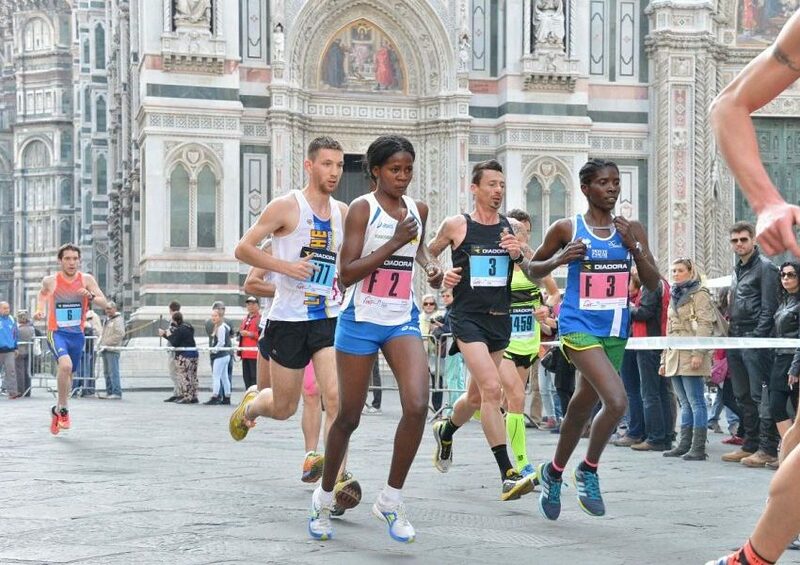 These characteristics make the Half Marathon Firenze Vivicittà loved by runners with start and finish in Piazza Santa Croce. The Vivicittà Village, located in Piazza Santa Croce, became very popular over the years: here people can find sport events and lots of fun. The Half Marathon Firenze Vivicittà supports a charity event every year and the organization strives to be eco-friendly. All of this guarantees that all runners run for a good cause.